The frequency of reminders for one of the biggest comic conventions in the US is beginning to pick up. So will my posts about it, so consider this your warning! It’s become more difficult each year to try and attend, especially if you have never been to the one in San Diego. Of course, there are several other Comic Con events that are held throughout the country during the year. Everyone will have their opinions about which one is best. I’ve only been to SDCC and WonderCon when it still took place in San Francisco. Maybe one day I’ll venture out of California to attend a new Comic Con event. I came across a few links for contests in which the winner can win a trip to San Diego for the convention, complete with flight, accommodations, and tickets to the event. I suggest you enter if you’re feeling lucky. I noticed that I have a few followers from Australia (and also happened to come across an article that had the link), so you too have an opportunity to win a trip SDCC! I’ll be sure to post more contest links, US or International, if I happen to come across them. I’m slowly but surely becoming excited for this. I still have to prepare a few things before my “con mode” starts to kick in. Stay tuned! So I discovered today is National Dance Day. Seriously, am I the only one who’s been wondering where all of these “national days” are coming from all of a sudden? Anyway, I’ll use today to throw in a little info about myself. Dancing was one of my favorite hobbies growing up. Both sides of my family have musical talent, whether it be dancing, singing, or playing an instrument. I’ve dabbled in a little of each, but nothing tops my love for dance. Joined song leading (dance team) in high school and was a member for 2 years. Took a hip-hop class during senior year of high school. Competed in my first dance competition and performed at the dance school’s end of the year show. Also performed at a half time show during an NBA game. Took a hula and Tahitian class with a friend the summer before I transferred schools in college. Performed in my first and last Tahiti Fete. Learned several Filipino folk dances in college and performed in my school’s Filipino Cultural Night for 4 years. Learned more dances from a local Filipino dance troupe post college and performed at 2 more NBA games for Filipino Heritage Night. Although it takes me much longer to learn and memorize an 8-count now, I still take advantage of the opportunity to shake a leg and bust a move when I can. With that, I’ll finish off this post with my favorite animated dance scene from A Charlie Brown Christmas. I decided to include another way to keep tabs on my posts and other things I might be up to or interested in by making an Instagram account associated with this blog. Unfortunately, RCubed is already taken (boo), but luckily I was able to get the user name used in this blog’s address (lehea1212). Thanks to those of you who’ve already started to follow me. I’m hoping to get the posts rolling for that account shortly. No worries if you’re not on Instagram. You can also keep updated via my Bloglovin’ account. Today marks the release of a new Frappuccino flavor from Starbucks. Any s’mores lover ought to try this at least once. 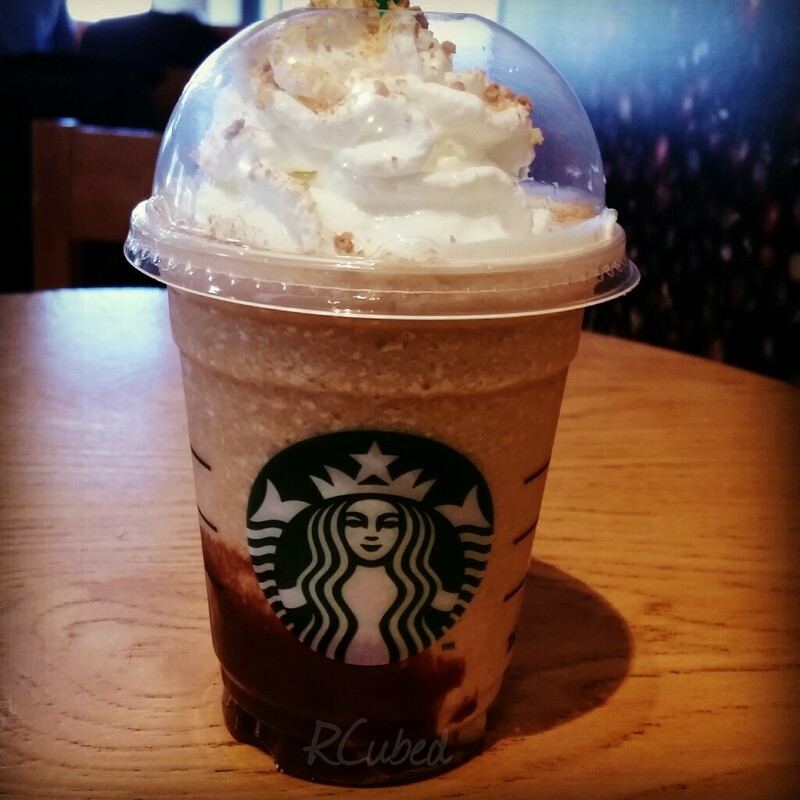 The combination of either a coffee or creme based frap with milk chocolate syrup and graham cracker crumbs is nothing short of amazing. I’m glad they gave me the coffee based one because last time I had a creme based frapp was when their Birthday Cake flavor came out for the drink’s 20th anniversary. Too sweet, in my opinion. While the flavor of this one may not be completely spot on, it’s as close as it gets to being reminiscent of the awesome treat. No worries about making a mess or the need for a campfire (Unless you’d want to drink your frapp near one. I won’t judge. :P). It will also be available in bottled form, but for now I can only imagine how that would taste like. Probably not even close to what they make in-store. If you’re still not convinced, they’ve also brought back their Caramel Ribbon Crunch flavor, and Frappuccino Happy Hour returns this Friday, May 1st through 10th from 3pm-5pm. Last month, I enrolled in a lettering class with Studio Calico. I’ve always been a fan of cursive writing since I was in elementary school. I still see it as the fastest way for me to jot down anything, especially if I’m in a time crunch. The class covered some basic lettering styles, and later on adding variation to those styles and using them in a more artistic manner. Lessons and videos were released about twice a week. It was challenging at the beginning using those lined practice sheets and keeping my lettering within those lines, but I eventually got the hang of it. With practice during and beyond the class, I’ll probably use what I’ve learned in future spreads with my Project Life and Smash Book. Practice (basics sheet), practice (lettering styles sheets), practice (adding variation). 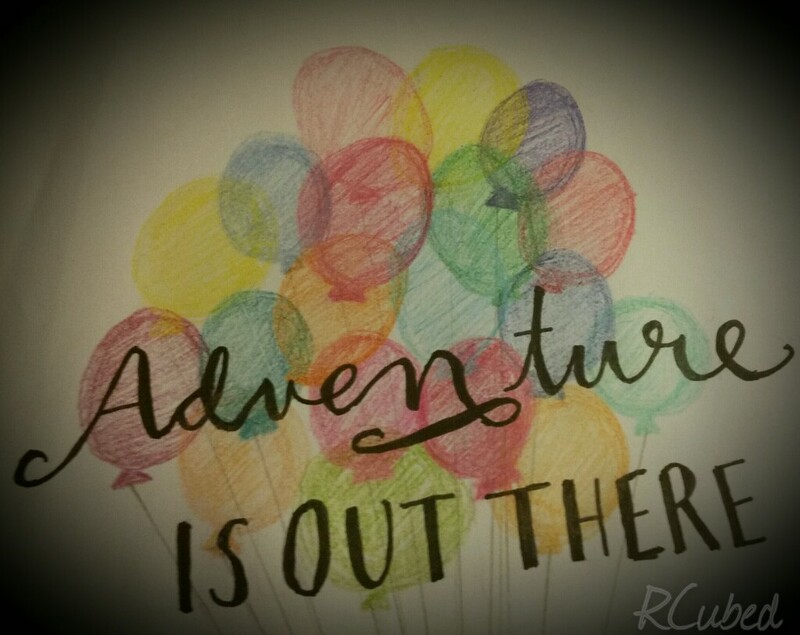 One of the last lessons was building a quote and digitizing it in Adobe Illustrator. I most likely will not use the latter since I don’t have the software on my computer. I chose a quote from the movie Up for this lesson. Despite a bit of a rocky start, I thought the class was fun and informative overall. It’s not easy trying to do fancy lettering when you’re left handed! I’ve thought about learning calligraphy too at some point, but I’ll focus on improving my skills here for the time being. I know a good number of my followers are suckers for beauty. Check out and enter this giveaway by The World of Cos. She’s been a very supportive follower of my blog as I am for hers. The best friend told me about their VIB 15% discount off of all purchases at Sephora. Beauty Insiders like myself only got 10%, so obviously I would have her get something for me. She even had it delivered to my place, which was awfully nice. I didn’t take too much advantage of the promo. 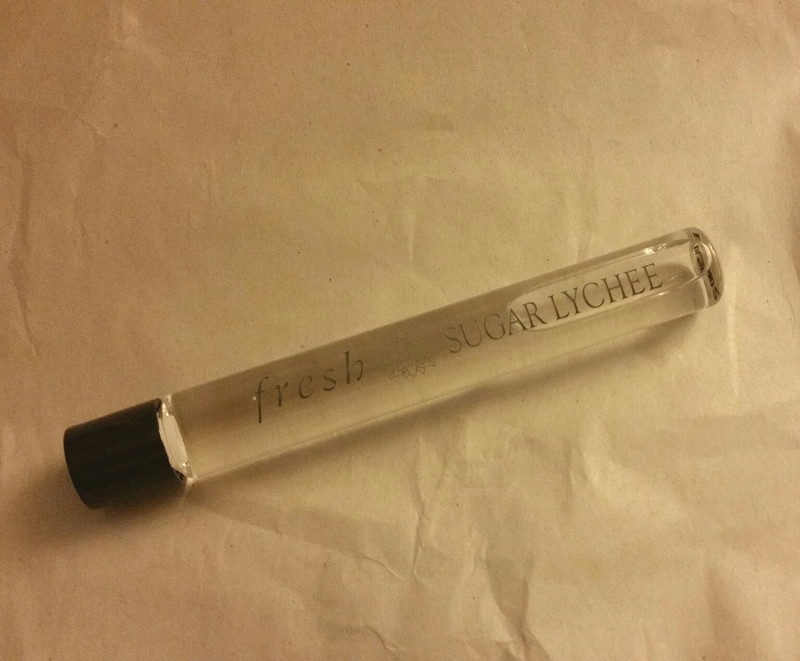 All I was interested in was this Fresh Sugar Lychee rollerball. I had sampled it on one of my most recent visits to the store and really liked it. 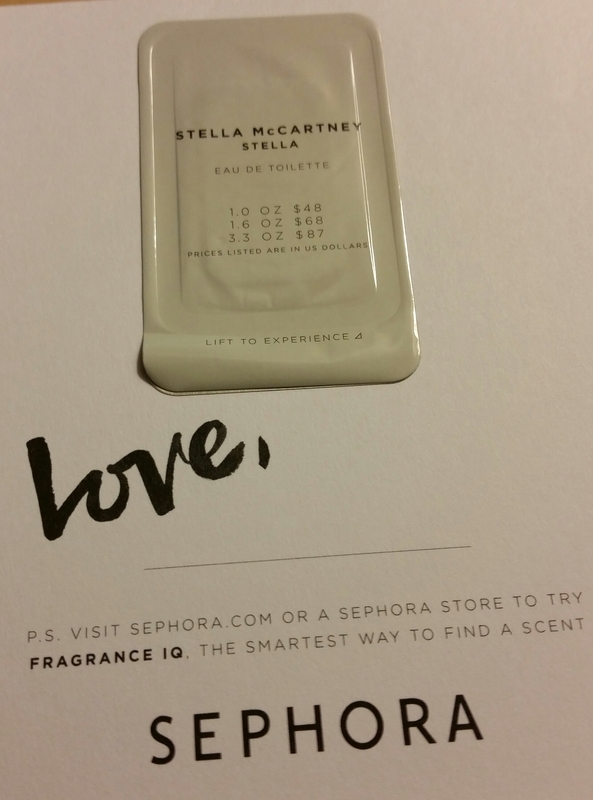 Per the description on Sephora’s website, the fragrance includes notes of grapefruit, Italian lemon and lime blossom, lychee, mango flower, freesia, sandalwood, tonka bean, and amber. 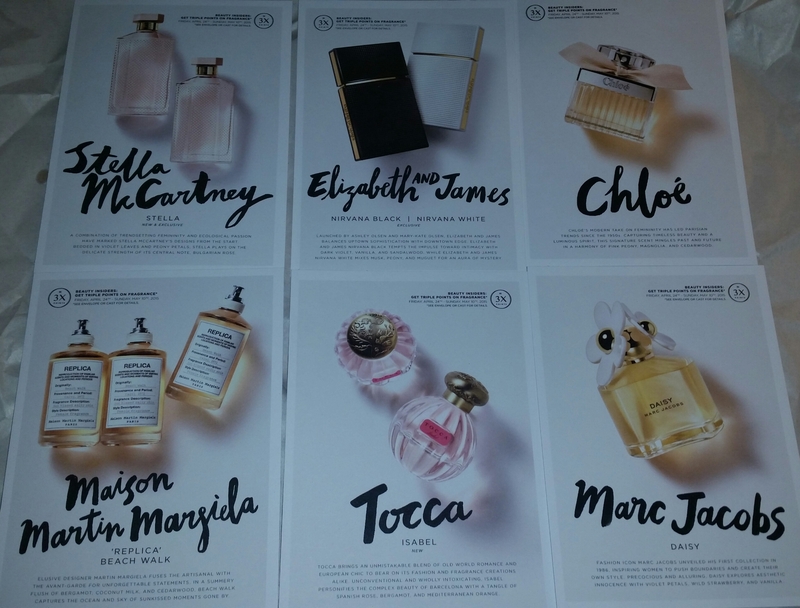 I also received some cards with samples of other scents along with my delivery. 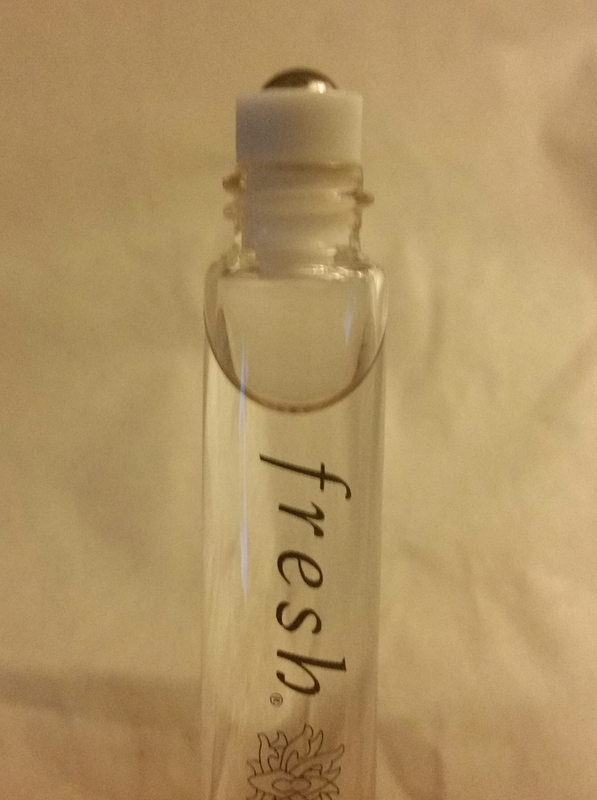 There’s description of the fragrance on one side, and the sample is located on the back along with available sizes and their price. 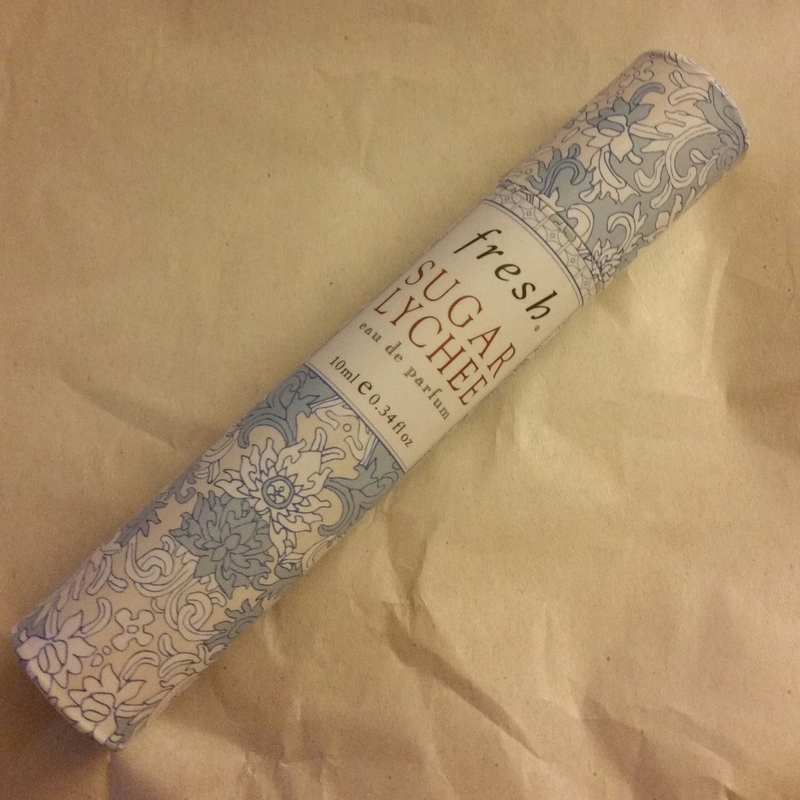 I currently use Chloe, which is an amazing floral scent, but I’ll soon alternate between it and the rollerball. Lately I’ve preferred this over a spray. I sometimes use a small refillable atomizer, but I’ve run into occasions when it would leak while traveling. Having a rollerball also makes it easier to apply to pulse points. Do you have a signature scent for Spring? Feel free to share in the comments.